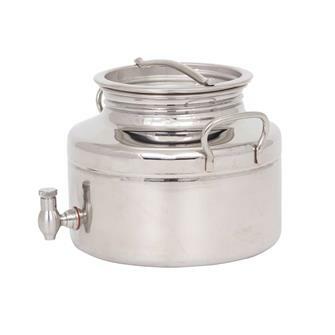 Stainless steel vats and wine vats, stainless steel oil cans. Marble fermentation lock specially adapted to stainless steel floating lids TONCI100CFP, TONCI200CFP, TONCI300CFP and TONCI400CFP. 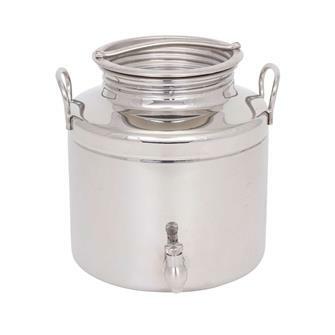 50 litre stainless steel vat, full opening, comes with a lid and tap. Floating lid with a paraffin seal for 50 litre stainless steel vat. 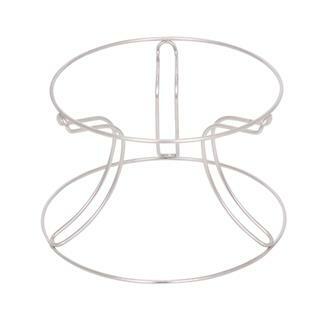 Stainless steel tripod to support a 50 litre stainless steel wine vat. Height 40 cm. 100 litre stainless steel vat, full opening, comes with a lid and tap. 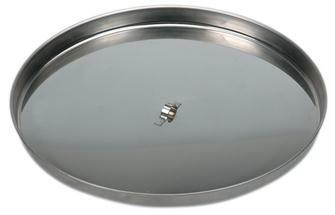 Floating lid with a paraffin seal for 100 litre stainless steel vat. 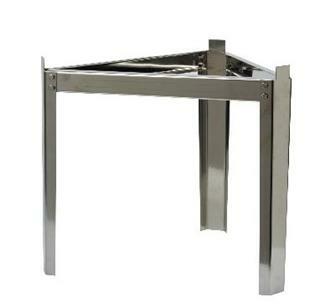 Stainless steel tripod to support a 100 litre stainless steel wine vat. Height 40 cm. 200 litre stainless steel vat, full opening, comes with a lid and tap. 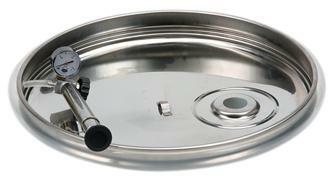 Floating lid with a pneumatic seal for 200 litre stainless steel vat. Floating lid with a paraffin seal for 200 litre stainless steel vat. 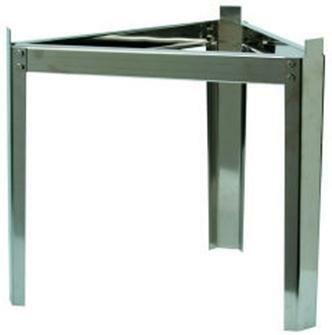 Stainless steel tripod to support a 200 litre stainless steel wine vat. Height 40 cm. 300 litre stainless steel vat, full opening, comes with a lid and tap. Floating lid with a pneumatic seal for 300 litre stainless steel vat. Floating lid with a paraffin seal for 300 litre stainless steel vat. Stainless steel tripod to support a 300 litre stainless steel wine vat. Height 40 cm. 400 litre stainless steel vat, full opening, comes with a lid and tap. 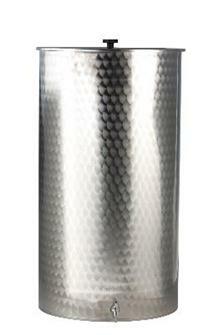 Stainless steel 3 litre oil can with a flat bottom. Tap, 2 handles, airtight screw lid. 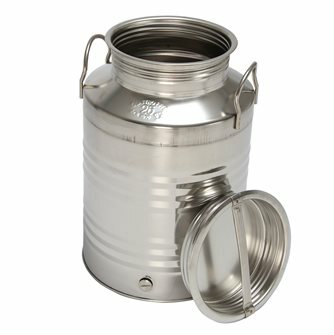 Stainless steel 5 litre oil can with a flat bottom. 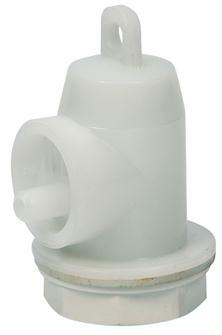 Tap, 2 handles, airtight screw lid. 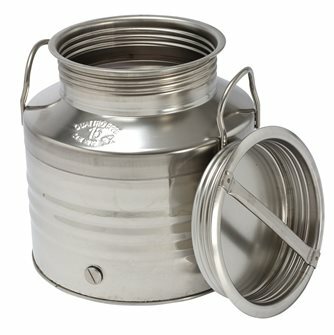 Stainless steel 15 litre oil can with a flat bottom. Tap, 2 handles, airtight screw lid. 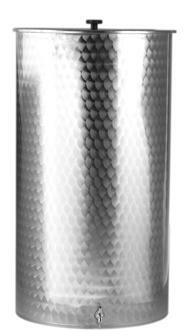 Stainless steel 25 litre oil can with a flat bottom. Tap, 2 handles, airtight screw lid. 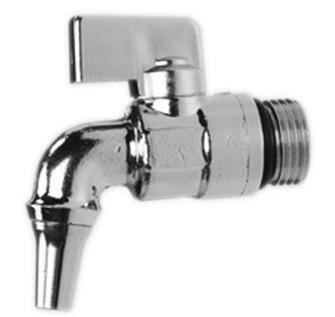 Chrome tap, ideal for TONBID15, TONBID20, TONBID25 and TONBID50 stainless steel oil cans. 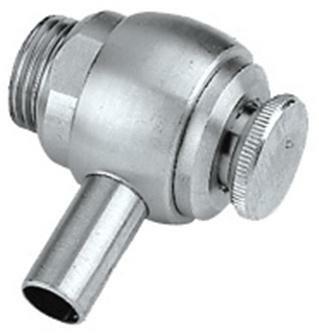 Stainless steel tap, ideal for TONBID15, TONBID20, TONBID25 and TONBID50 stainless steel oil cans.